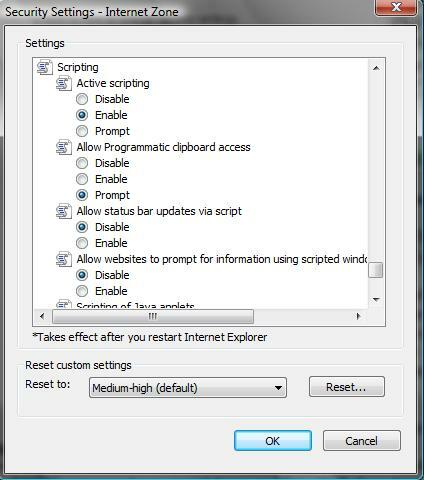 In the upper right corner of the Internet Explorer screen below the search entry box there is Tools button. Click it to open the tools menu. If you have the menu bar visible, there is a tools menu just to the left of the help menu. 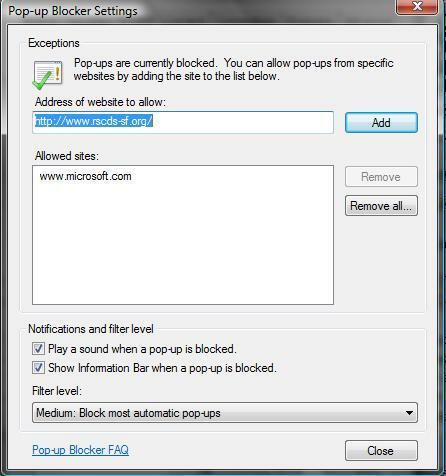 Click the Internet Options entry at the bottom of the menu. 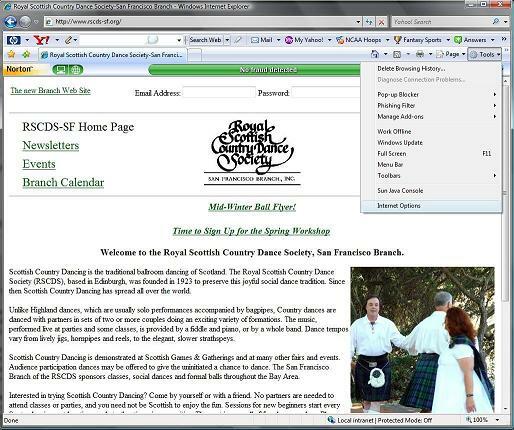 The Internet Options form sill display. 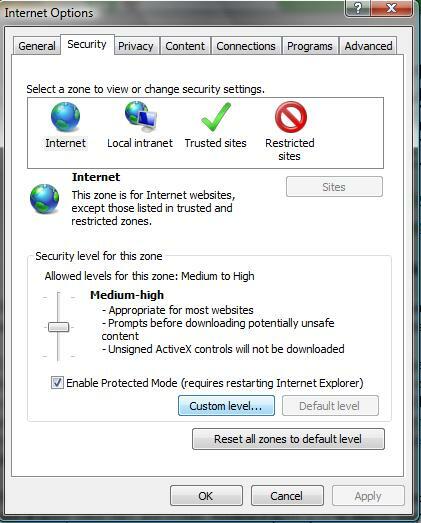 Click the Security tab. Click the Custom Level button near the bootm left of the form. Scroll down to the Scripting Section and insure that Active Scripting is enabled. Click the OK button. 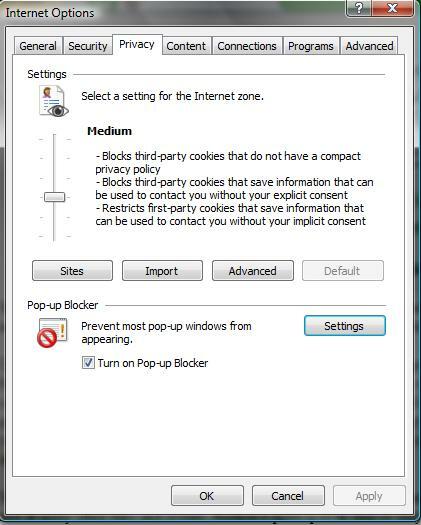 On the Internet Options form, click the Privacy Tab and then click the Popup Blocker Settings button.